Along the southwestern boundary of Salt Lake County is a chain of low, rolling mountains that are volcanic in origin. They extend east, running perpendicular from the Oquirrh Mountains toward the foothills of the glacially carved Wasatch. Geographically, they form the southern boundary of the Salt Lake Valley and the northern boundary of Utah Valley. These are the Herriman Hills, preserved as open space by Herriman City and the setting for a new trail system featuring state-of-the-art single-track trails for mountain bikers, runners, and hikers. The story of the preservation the Herriman Hills for open space and trails began in 2014 when Herriman citizens were outraged to learn about proposals for still more residential developments being considered for the lovely hills that form the backdrop for their community. In reaction to these concerns, the Herriman Trails Committee formed and championed the “Herriman Hills Initiative,” a proposal that would tax each Herriman household to raise funds to buy these mountains and preserve them as open space. 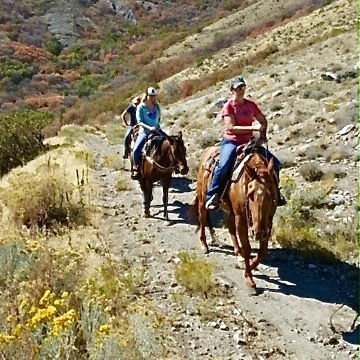 Although the initiative was ultimately voted down, citizen efforts to preserve the hills got the attention of Camp Williams, the National Guard training facility on the southern side of the Herriman Hills in Utah County. Along the southwestern boundary of Salt Lake County is a chain of low, rolling mountains that are volcanic in origin. They extend east, running perpendicular from the Oquirrh Mountains toward the foothills of the glacially carved Wasatch. Geographically, they form the southern boundary of the Salt Lake Valley and the northern boundary of Utah Valley. These are the Herriman Hills, preserved as open space by Herriman City and the setting for a new trail system featuring state-of-the-art single-track trails for mountain bikers, runners, and hikers. Read more,…. Wanting to protect the burgeoning city of Herriman and be able to safely conduct ongoing training exercises that involved munitions, Camp Williams approached Herriman City with a solution. In 2015 Herriman was awarded the Army Compatible Use Buffer or ACUB Grant. This grant money has been and continues to be used to buy private property throughout the hills separating Camp Williams from Herriman City. This would provide Camp Williams with a buffer zone around their practice range and save the Herriman Hills from development. Herriman City has since purchased over 1,000 acres with those funds. The City now has hundreds of acres of open space to be used for trails and other recreational amenities. Recently Salt Lake County and the Bonneville Shoreline Trail Committee approved the alignment for the Herriman section of the Bonneville Shoreline Trail. This further establishes the BST as the valley’s premier urban interface trail which will eventually connect the east and west side of the Salt Lake Valley via trails! 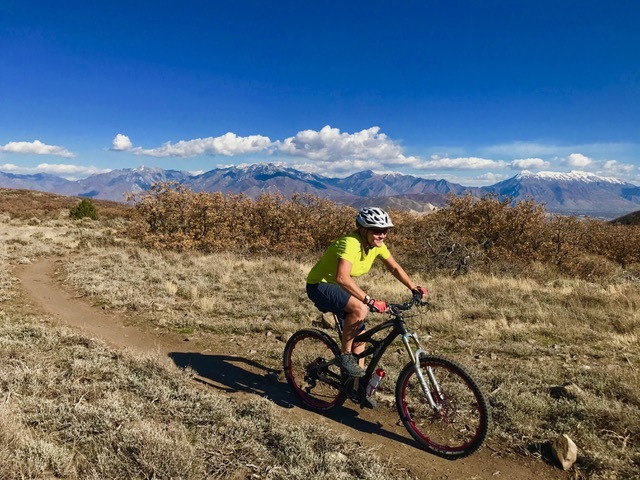 The Herriman Trail System is envisioned as both a local community resource, designed to benefit the residents of Herriman, and a recreational resource for trail users from around the valley. The system will feature a variety of trails for different types of users as well as single use and single direction trails to ensure a safe and pleasant trail-user experience. This season work will begin on the Hardlick Downhill Trails, a handful of trails in the Hardlick Basin area, designed for gravity-loving mountain bikers who get their thrills both in the air and on the ground. The development of a first-ever training and event venue for the Utah High School Mountain Biking League is also being considered, that could play host to thousands of high school bike racers from around the state each year. 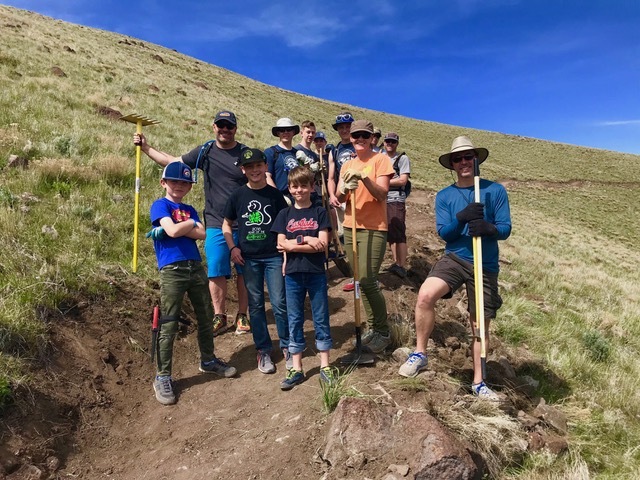 The Herriman Hills Trails Alliance (a separate entity from the Herriman Trails Committee) is a non-profit partner of Trails Utah and is now actively seeking funding and support for trail planning and construction of trails in the Herriman Hills area. Please help support their efforts. Trails Utah is a 501(c)(3), dedicated to trail advocacy, planning, funding and construction of trails around the state.